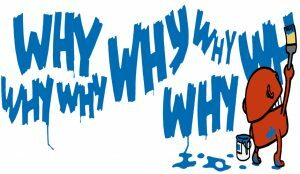 I firmly believe that regardless if you want to master your body, health, relationships, finances or any area of your life, you need to start with why. Why do you want to Master Your Money? Why now? Let me share with you two stories about the Power of Why. An old man is sitting in his couch watching football on a Friday night. He is very comfortable in his favourite couch, a beer in hand and his only stress is whether his team will come back after falling behind at half time. Twenty minutes later the wife cooks him up a simple meal of meat and three vegetables and brings it to her husband. “This looks great” the grateful husband says to his wife. And then he continues to watch the football. Let me ask you this, was the old man really starving? I don’t believe he was. If the old man was truly starving, he would have got off the couch and cooked his own meal. But he was only starving when someone else was literally going to bring him food on a plate. You see, I don’t think there is a person in Australia who wouldn’t like more money. Everyone wants more financial freedom. But the difference is that no one is going to bring financial freedom to you on a plate! You have to get up off the couch and get it. You have to be truly committed, prepared to do the work and invest in yourself and your team to become a Money Master. At this point, most people will just sit on the couch. They will complain and moan to anyone who listens, but they won’t do anything practical about it. But others, they will get off the couch. Those who have the motivation, a why, a dream of a better lifestyle, are prepared to do whatever it takes to become a Master of Money. It all comes down to your why. But I think for the majority of people, it is simply due to the fact they don’t have a strong enough why. There is not a strong enough “why” and if they are not successful, someone will bring money to them (in the form of Centrelink). Mark J Quann is an American author who looked at this in more detail and discovered something remarkable. He discovered that immigrants to America are four times more likely to become millionaires than those born in America. Why is this? They are not better educated, they don’t have better networks and they certainly don’t have better luck. They simply have a stronger will to succeed. If they don’t succeed, they have nothing to fall back on. They cannot fail, returning home is not an option for them. I want you to write out a personal vision statement. A vision statement is mostly used by companies and non-profits and is defined by Wikipedia as “a declaration of an organization’s objectives, intended to guide its internal decision-making”. For you, a vision statement is the reason you get out of bed and go to work. A vision statement is the reason you will invest in yourself to become a better person for yourself and your family. If you are looking for a vision statement template, try this. Write a couple more sentences about how your future life will look and feel. For example, how will you physically look, what would a normal day look like, what morals and ethics will you uphold.